A Simple Guide to 8 Various Types of Processed Glass! Glass is a versatile material which is used in construction since ancient times. Primarily it was used in windows, doors and ventilators. But nowadays glass is used extensively in façade, interior partitions, balustrades, railings for stairs and balconies, etc. Whole new buildings are now constructed by using glass. Due to advancement in technology, various types of glass are now available in the market, which can be used in different applications. Different processes are carried out on a glass, to make it more flexible for different applications. Processed glasses are such glasses whose properties are altered so that they can be used effectively for a specific purpose. Here we have given brief information on various types of processed glass and their application, which a homeowner must know before buying. Toughened glass is also known as tempered glass is a strong glass which is heated to a uniform temperature of 620-650 degree Celsius and rapidly cooled to increase the strength. It is 4-5 times stronger than the normal glass of equivalent thickness hence it is used for safety and strength. They break into blunt pieces, thus less damage or injuries occur in case of accidents. Tempered glass is used in commercial applications where wind, snow or thermal loads exceed. It is used for escalator side panels, handrails, balustrades, staircase handrails and viewing partitions of sports complexes, resorts, and airports, etc. Also for the security of important people, these glasses are used in their automobiles and houses. It is also known as heatproof glass or soundproof glass or bulletproof glass or insulating glass or safety glass. Laminated glass is made by sandwiching a layer of polyvinyl butyral (PVB) between two or more layers of glass. Bulletproof glass is a special type of laminated glass in which toughened glass is used. Also upon breakage, the glass fragments stick to the PVB layer and thus injuries are avoided. This type of processed glass also provides excellent sound insulation and thermal insulation. Laminated glass is used in skylight glazing, automobile windshields. It is also used in exterior curtain walls and windows, balustrades, guardrails, canopies, etc. Heat strengthened glass or heat-treated glass is processed with heat treatment for durability and safety reasons. Its mechanical strength is twice that of normal annealed glass and half of fully tempered glass. Apart from increased mechanical strength, it has all other properties of a float or annealed glass. Heat strengthened glass is used for structural glazing as they safeguard against thermal breakages. It is also used in laminated glass to provide safety as well as strength. Reflective glass also called mirror glass imparts a mirror like an appearance and wide palettes of colours to the exterior of buildings under daytime conditions. A coating of metal oxide is applied to one side of the clear or body-tinted glass in order to increase the amount of reflection by the glass. Mirror glass also blocks solar heat coming from outside and thus helps in reducing the cost of air-conditioning. 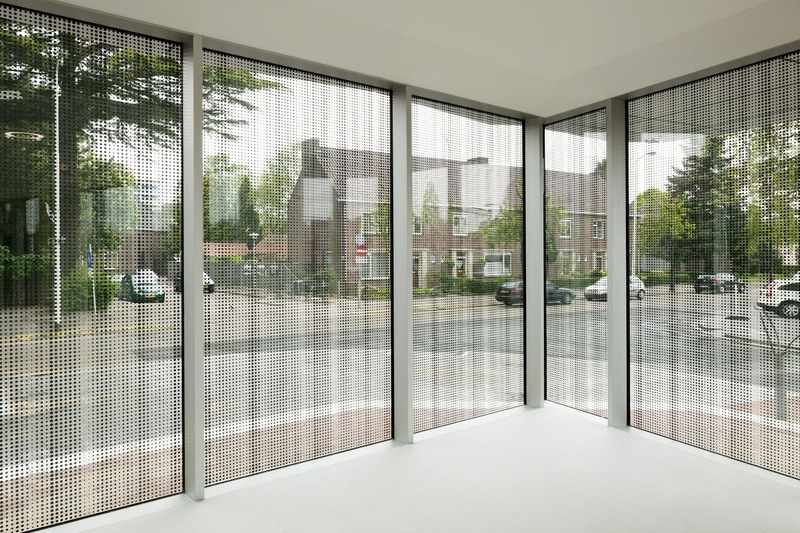 For commercial buildings which require privacy, this glass is most suitable, as the interior space cannot be seen from outside. Reflective glass is used in building facades, decorative walls, windows and doors which require privacy, commercial buildings, etc. An insulated glass unit is a prefabricated unit made of two or more glass panes which are separated by cavities filled with dry air. They provide excellent thermal and sound insulation properties. Insulated glass units are used in office buildings, hospitals, hotels, houses and buildings with high heating or cooling requirements and also buildings that need the temperature and humidity controlled such as telephone exchanges, airport control towers, and other environments that need regulated atmosphere and prevention of condensation. Ceramic printed glass or ceramic frit glass is also known as silk-screened glass for its appearance like a silk screen. Ceramic frit is fused to the normal annealed glass to create a decorative look. Ceramic printed glass is used when it is important to mask a part or whole of glass for privacy or hiding the background. It is used for curtain walls, shower installations, glass doors, spandrels, partitions, stair rails, conference room, etc. It is also used to impart decorative look to interiors of restaurants, hotels, cinema theatres, etc. Lacquered glass is a processed glass which is also known as back painted glass is obtained by coating the back surface of the float glass with lacquer. They offer an opaque and shiny surface. Generally, they are always viewed from the front surface which is not painted. 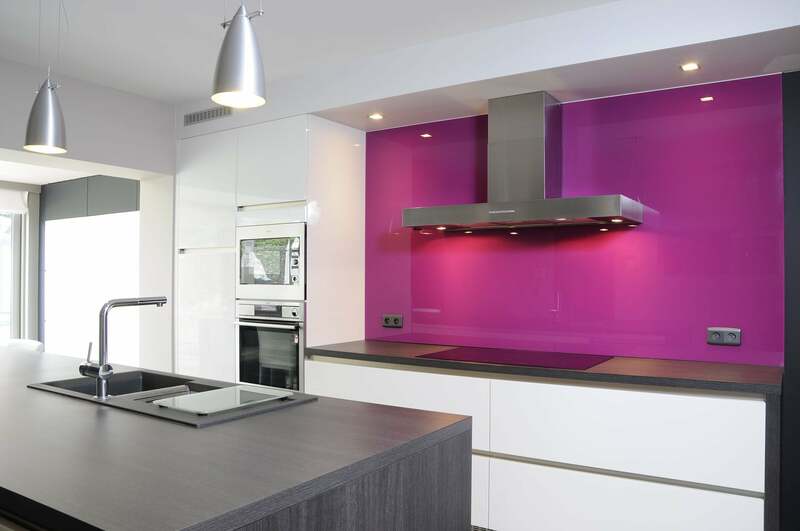 Lacquered glass is available in many different shades of colours, which can be suited to any application. Lacquered glass is extensively used in architectural spandrels, contemporary cupboards, furniture, kitchen countertops, backsplashes, washrooms of cinemas, hotels, restaurants, etc. Frosted glass is a processed glass which has a translucent or obscure surface, rather than the transparent surface in float glass. One surface of the glass is etched and has a rough finish, through which diffusion of light occurs. Due to its translucent nature, it does not people to see through it. Frosted glass is used where privacy is required, such as shower cubicles, conference rooms, office partitions, windows and doors of bedrooms, dressing rooms, etc. Nowadays, frosted glass is also used as decorative glass, as they are available in various colours, patterns and designs. Glass is a versatile material and can be used effectively in interior as well as exterior of the house. Processed glass such as ceramic printed glass, frosted glass, lacquered glass and laminated glass, etc. can be used as decorative glass to create an astonishing look for your home interior. Toughened glass has found its application in various security and government buildings. Glass is available in many aesthetically pleasing designs, styles, visibility criteria, and durability criteria offers virtually limitless design possibilities.